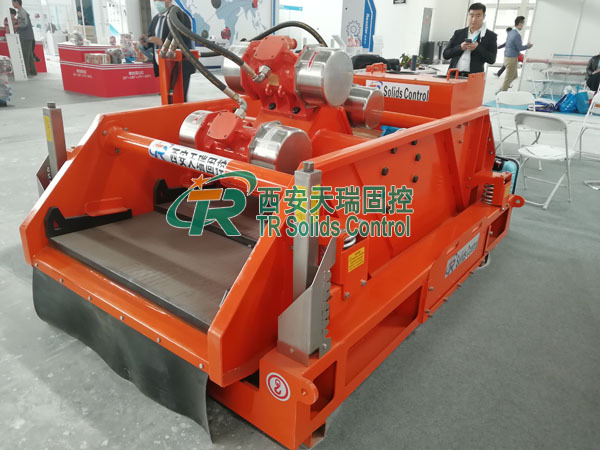 BEM shale shaker is the combination of a round vibrating screen and a linear vibrating screen’s advantages Which is China’s first developed successfully new drilling shaker. 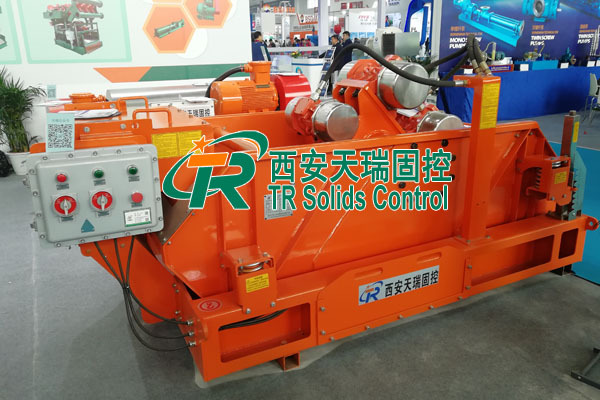 The basic requirements of Drilling technology for vibrating screen is that not only try to recover drilling fluid as much as possible, but also remove harmful solid phases as much as possible.This demands,at first,to increase the throughout and recover drilling fluid, the solid phrase on the shaker screen should be removed as quickly as possible. Secondly,to reduce the wear and tear of mesh, it’s better for solid phrase particles not to do slippage.Thirdly,The critical particle in the mesh should be easy to pass through the mesh or jump from the screen surface.In order to meet the above requirements,shale shaker should allow the solid particles to be ejected in the sieve. But normal acceleration for particle edge screen should not be too big.Only the particles can overcome the adhesion,force of friction and surface tension between it and the drilling fluid, than separate. It is ok to let the drilling fluid go through the net.Exaggerated normal acceleration will increase the impact of the particle falling on the screen and some of the pellets were crushed,screen filter were increased. At the same time, The less time the solid particles stay in the mesh length,the fewer beats,the lower the screening rate of the solid particles. From the above requirement,ordinary uniaxial vibrating screen has the worst perfomance,although the performance of circular shale shaker is improved but the biggest drawback is that the angle of the projectile is too large.It is widely used in China. The principal question Linear shale shaker has a high rate of solid particle transport,the screen can be installed horizontally.There is no problem of cuttings accumulation.As long as the vibration direction is approprate,there is a large amount of processing.The principal question of the linear shale shaker is that the vector of acceleration only works in one direction.There is a drop dead zone for the solid particles in the mesh.（That’s where the acceleration is zero).It’s hard to throw it out of the mesh.This is detrimental to the solid phase control of drilling fluid.BEM Shale shaker combines the basic advantages of circular vibrating screen and linear vibrating screen.Concrete to the shaker.The long axis of the ellipse is the component of strengthening the removal of cuttings.The short axis is the component that promotes drilling fluid through sieve.It can improve the conveying speed of cuttings on screen.Also reduce the time spent on the screen.In particular,BEM shale shaker can obviously reduce the phenomenon of screen plugging and drying.